The Jvice is the ideal investment for creating your own unique flies. From the tiniest dry to the largest saltwater pattern, one Jaw holds them all. Tie at a coffee table, on your lap in the field or at a high counter using the height adjustable extension arm. Tom Sutcliffe’s site shares South Africa’s best known fly fisherman’s thoughts on the sport. It also houses patterns, information, his artworks and his books. In 1985/1986, a group of flyfishers in the Eastern and Western Cape became very concerned about developments in the sport of flyfishing in the then Cape Province. It was clear that the Cape Department of Nature Conservation wanted to deregulate the Trout Fishing Ordinance but no consultation or discussion was held with flyfishing clubs or individuals. Concerned flyfishers met and the Federation of Southern African Flyfishers (FOSAF) was formed on 1 March 1986 at the Eagles Ridge Hotel, Stutterheim. The Cornhusker Fly Fishers, Inc. was formed as a non-profit (501c) corporation for the pursuit of conservation, education and the promotion of fly-fishing and fly tying. Welcome to the online home of the Transvaal Fly Tyers Guild. We’d like to share information on our Club with you, as well as encourage you to share our thoughts on fly tying in South Africa. The Guild was started in 1991 by a group of flyfishermen who wanted to further their own knowledge and pass on to others information on the art of fly dressing. 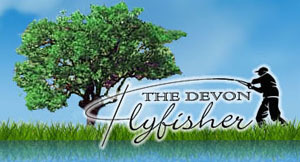 Fly fishing tuition and guiding in the heart of Devon with Richard Jackson. Holder of the Level 2 CCA (certificate in coaching, licensed coach) in game angling, and game angling instructor’s certificate. The Natal Fly Fishers Club was formed in 1972 and has a rich history in South African fly fishing. Many of the sport’s most well known names have at some point in some way been affiliated to the club and many were in fact founding members.